Toronto, ON -- Environmental Defence and Innisfil District Association, a group representing over 300 local Simcoe County residents want to stop the sale of two pieces of public shoreline to a private developer on Big Bay Point, Lake Simcoe, Ontario. They are opposing the development due to its potentially negative environmental and societal impacts like destroying fish and wildlife habitats and silencing dissenting voices through Strategic Lawsuits Against Public Participation (SLAPP). Over the course of this development, the developer has sued, and withdrawn, $100 million in SLAPP suits against local residents and groups. The developer, Kimvar, a subsidiary of Geranium plans to build a 1,000 slip marina on a lake already suffering from water and noise pollution. It has conditional approval to build 2,000 units—mostly limited occupancy, and a 400-unit hotel—in what is now a small, heritage cottage community at the north end of Innisfil. More specifically, the developer wants to expand an existing marina by 30 acres, widen the channel, and harden about 200 meters of the marina entrance and shoreline with granite and concrete, which could negatively affect fish and wildlife. Geranuim needs to acquire public shoreline land through the Ministry of Natural Resources to build the marina. “I don’t understand how Geranium gets permission to buy public beaches, harden the shoreline, cut down the trees and build in a wetland area around the marina for a huge development, when the little guy can’t even move a few rocks without being prosecuted. We are confused by this double standard,” said David Donnelly, lawyer for Environmental Defence and a local ratepayers group, the Innisfil District Association. Environmental Defence and the Innisfil District Association want to stop the land sale, and allow local residents a fair opportunity to comment on it. If the province is entertaining the sale of public land, it should be a public sale, they argue, not a sole-source agreement. “Now that the province is dealing with the distribution of public lands, it’s an ideal time for the public to have a say without fear of being slapped with a million dollar legal bill,” says Don Avery, Chairman of the Innisfil District Association. Residents at Big Bay Point, the Innisfil District Association, and Environmental Defence have teamed up to make a video that describes the environmental impact that the mega-marina will have on Lake Simcoe. They have launched a petition to prevent the imminent sale or lease of public land to the developer. ABOUT ENVIRONMENTAL DEFENCE (environmentaldefence.ca): We are Canada's most effective environmental action organization. We challenge, and inspire change in government, business and people to ensure a greener, healthier and prosperous life for all. ABOUT THE INNISFIL DISTRICT ASSOCIATION (www.innisfilaction.com): We are a ratepayers group of about 300 members that is more than 30 years old. 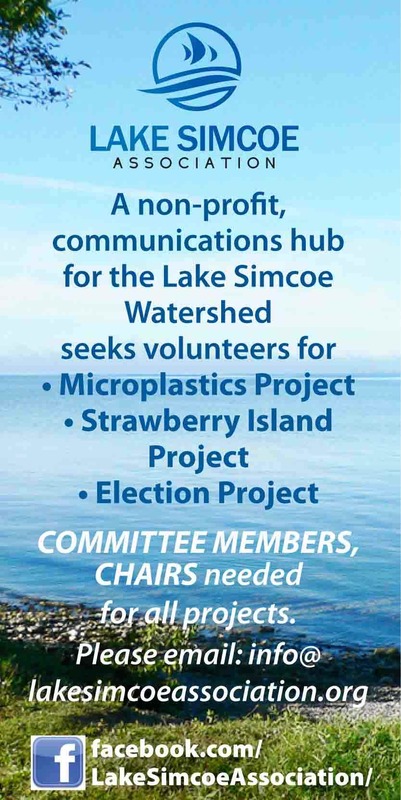 Our mission is to support the long-term development of Innisfil and Simcoe County, while protecting the lifestyle of its citizens, the health of Lake Simcoe and our natural environment.